My friend Shandra soars as an expat housewife. Whether she is living in Kuwait, Bahrain or Qatar Shandra’s modus operandi is to immediately decorate her house, have her neighbors over for tea and cake then make the rounds of embassy gatherings and women’s groups to round up an international cadre of friends. Everyone knows Shandra for her laugh, love of color and her accessories. Before children and following her husband on his career adventures, she manufactured a line of children’s clothing. Now after several years of embracing the expat social life, she has returned to her roots and designed a line of jewelry. Shandra’s eclectic style has a kind of Betsey Johnson eccentricity without the witchiness. 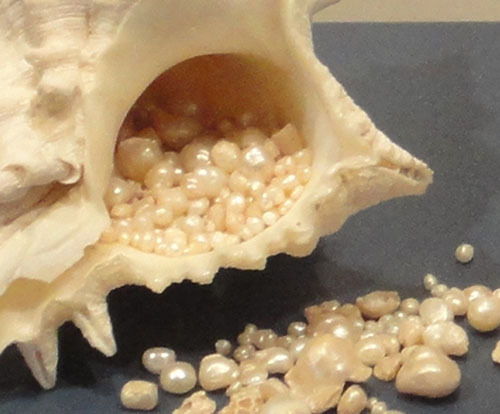 An artist by training, she takes everyday objects causing them to pop with a new life as a body ornament. 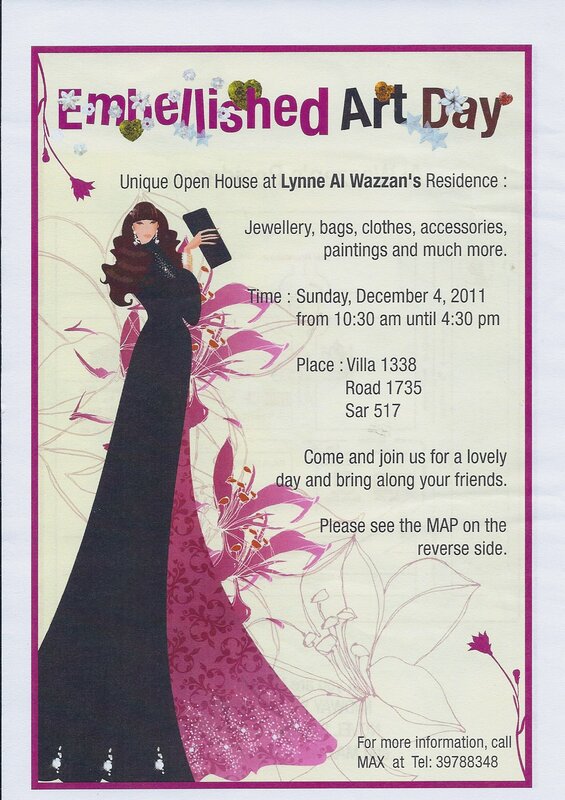 On Dec 4th, the denizen of Bahrain charities, Lynne Al Wazzan is hosting an open house. 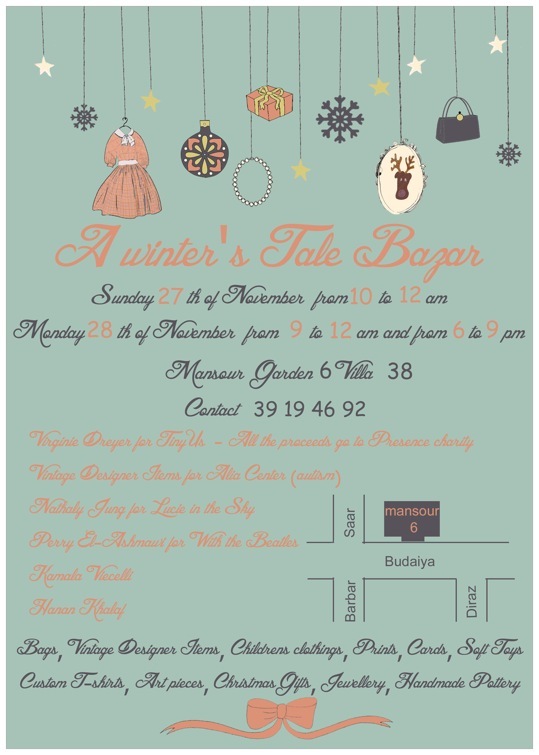 Shandra and several other expat women will display their jewelry bags, clothing, accessories and paintings in Lynne’s elegant Saar home. A quintessential ladies coffee morning, bring your wallet, stop by and have a chat with the artists as you browse the treasures you never knew you had to have. As Shandra leads an active social life, the morning will begin at a very respectable 10:30am and will last until 4:30pm leaving her just enough time to get ready for her evening engagement. Please put a dinar in the Presence School’s hat. If you don’t have a dinar, a dollar will do. If you don’t have a dollar, then God bless you.